The "coolest paper crafts for kids" that cost next to nothing or are completely free kids crafts. Take a quick look over these toddler crafts below and find one to get you started. Some of these can be fun kids crafts as well as being great toddler learning activities. You will find some of these crafts are free coloring print pages. Sometimes the simplest toddler activities prove to be the most popular. Check out all the free printables. When your child gets involved with any toddler craft activities they should be supervised at all times. In many craft activities for kids there are many small parts. If your toddler is left unsupervised they may put these in thier mouths. Which could lead to swallowing and possibly choking. So better to be safe and only organize these toddler activities when you can watch over them. So let your little one have some FUN with these toddler craft ideas below. 1.So your looking for crafts easy for kids to get involved with. Then these paper crafts for kids are super easy to prepare for get some different colored office paper. 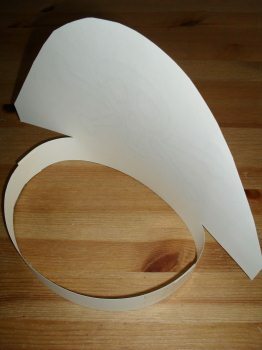 Then cut the paper across the narrowest side into strips about one inch wide. you will end up with between 10 and 12 strips. 2. Repeat this for 3 or 4 different colored sheets of paper. Now use a glue stick to put a dab of glue onto one end of each strip of paper. Then bend over into a loop and press the ends together. 3. Then keep repeating this making more rings with different colored paper. After you have made the first ring thread the next strip through the middle. 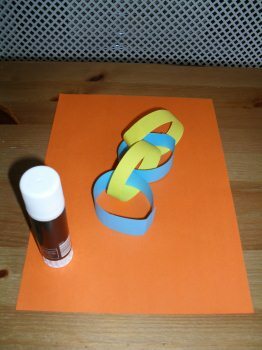 Then stick the ends together to start creating your paper chain. As the old saying goes "rinse and repeat" until your paper chain is long enough. 4. You can make a short chain and link the ends together to form a knecklace. Or keep going and use the chain to decorate a room, especiallly for a kids party decoration. These great little toddler activities that you must of done yourself many times. 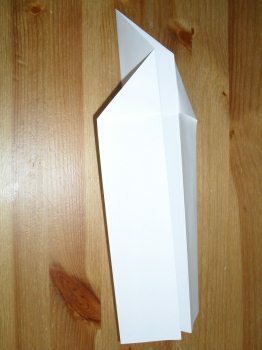 Show your little ones how to fold a simple paper aeroplane. Then have a competion to see how far they fly. Just in case your nor sure I have done some quick instructions below. 1. 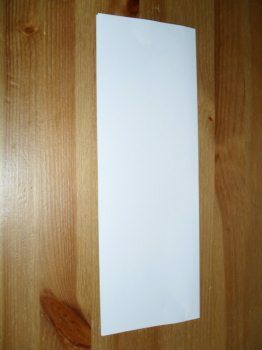 Fold your sheet of paper in half along the longest length. Then open up the sheet of paper again. 2. Then fold the corners into the center so both corners meet in the middle. 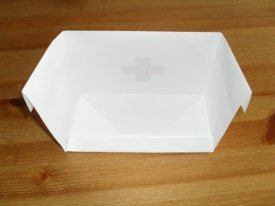 Then fold in half with the folded corners tucked inside. 3. 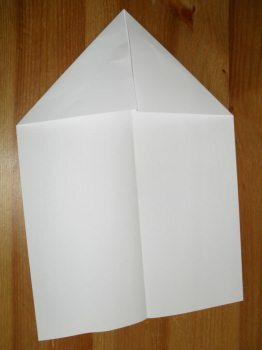 Then fold each side down in half, there you have your paper aeroplane ready to fly. Make some play hats out of paper and get your toddlers to color and decorate them. These are simple to do and will only take a few minutes to do. Then a lot longer for your toddler to finish off. These are really fun paper crafts for kids. Free printable hats. Click on the links below to download these printable hats then cut out and stick with tape. Just jollow these simple instructions below to make. 1. Click on any image then print off onto thin card. 2. Cut out your chosen hat following the top black line. 4. 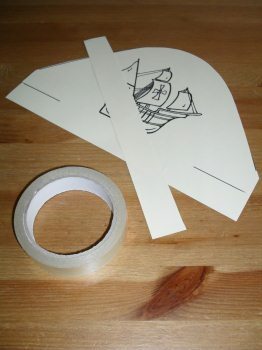 Now use some sticky tape and attach the strip of paper to one side. 5. Now wrap around your childs head then stick the other end. This is a popular paper crafts for kids activity as they get something to play with when finished. Simply print of on white paper and follow the instructions below. 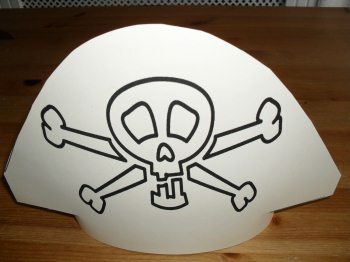 You can hold this nurse hat on with hair grips or use a strip on paper taped on as in the pirate hat. 1. 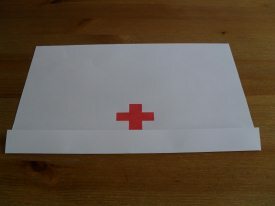 Fold up the bottom edge to just below the red cross. 2. Now turn over and fold in half. 3. Next fold in the sides so they meet in the middle. Then use the fold lines to fold in the triangles on both sides. 4. Finally you will have a bit of paper that sticks out the back. 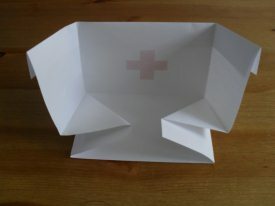 Just fold this over to lock the nurses hat into place. 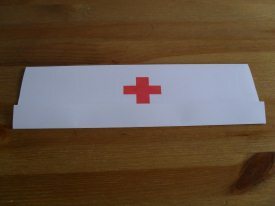 Click on the image above to download your free printable nurses hat with the red cross already in place. 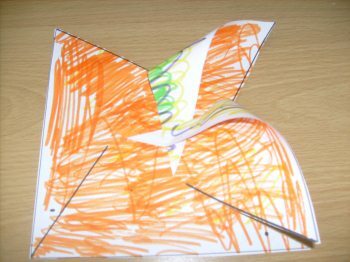 Then print off and fold into shape, this is another of those great free paper crafts for kids on this site. 1.For this toddler craft I would use a stiff piece of cardboard as your base (I cut out one side of a breakfast cereal packet). 2. Then rip out pages from old magazines and comics. 3. Then give your toddler some child friendly scissors and ask them to do some cutting out. 4. Then give them a stick glue and get them to stick the pictures on to the cardboard base. 5. Tell your little one to stick lots of pictures so you can't see the base. These are all great little paper crafts for kids to play and enjoy. So have a go and see how much fun your toddlers gets out of these toddler activities. 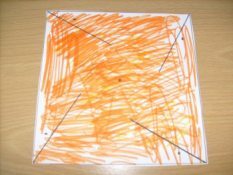 A good toddler learning activity to do with this is to have a theme for your collage. Such as foods or maybe animals or even things you find around the home. It teaches them about relationships between things. Your little ones will absolutely love doing this paper craft for kids and seeing the end result spinning in the wind. It is "super easy" to do with our free Paper windmill template. Just click on the link below to download and print off straight away. 1. Just Click on the image below for the free printable windmill template. Then cut out the square following the black lines. Then get your toddler to color in on both sides of the paper. This is a bit of arts, crafts for kids rolled into one fun toddler activity. Next cut the black lines that go from the corners towards the center. 2. Next fold over the corners into the center. You will see a small black spot on each corner. This spot needs to sit over the spot in the center of your windmill. Repeat this for all four corners. Use a glue stick to stick each corner down as you go. This will hold it all together ready for the next step. 3. Now finally to complete your windmill you will need a wooden dowel. 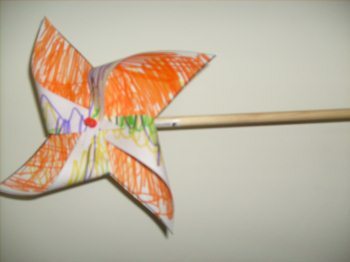 Also a drawing pin or thumb tack to fix your paper windmill to the wooden dowel. That's it all finished except for trying it out. You can get your little one to try it out by blowing on it. Even better get your toddler to take it outside and plant it in the garden and watch the wind catch it. Click on the image to the left to open your free paper windmill template ready for printing. This only one of the many free printable paper crafts for kids. You will also find lots of free toddler games and toddler activities that have free printables on this site. Important note: All toddlers learn from doing with a little guidance. So let your little one be creative and take the lead with these paper crafts for kids. Let them cut out their own things even if they struggle (sometimes you need to help a little). Let them draw their own interpretation of what they think the picture should look like. They learn so much from trying new things and experimenting. What paper craft activities do you love doing with your little one ? So why not pick up some great new ideas here and share your paper craft ideas here. I know other parents will thank you for it. Tell us what you and your little one like about this paper craft activity the most. Then put some simple step by step "how to do" this kids craft idea. 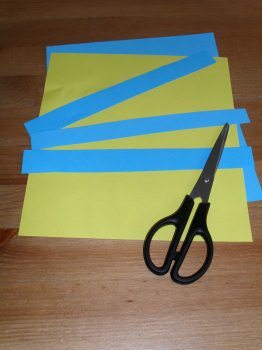 (example title )Tissue paper craft for kids ! Your paper craft idea will appear on a Web page exactly the way you enter it here. You can wrap a word in square brackets to make it appear bold. 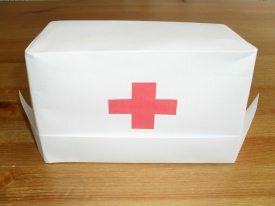 For example [my paper craft idea] would show as my paper craft idea on the Web page containing your story. More paper crafts for kids ideas!